Let’s face the horrible truth: If you have invested in a printer, the cost of the equipment is just the beginning; you have to think about the cost of the cartridges. When considering the price of the equipment, calculate the cost of replacing the ink cartridges when the ink runs out. If you print many photos or you operate a business that requires a huge amount of printing, you will need to replace your ink cartridges frequently. There are several top-notch ways to save money by ensuring that the ink cartridges last longer. The best way to save ink is by printing only when you have to. Before you print any material, decide if all the text or graphics are relevant for your communication. By printing only what is necessary, you can save on the amount of ink you use. Instead of printing everything, you can use DVDs or CD-ROMs to back up your information. 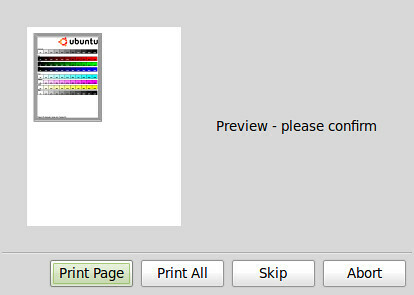 Before printing any document, use Print Preview to see how it will look when printed. This function allows you to make adjustments and you can reduce the number of pages by adjusting spaces. You can select only the relevant portions of the text and still capture all the information that you need. You can save on printer ink as well as paper. When printing documents for internal use, consider using draft mode. 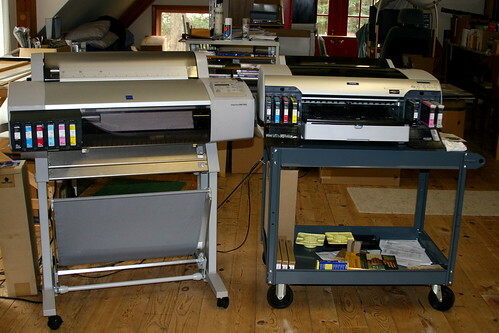 Draft quality printing will help you to save on ink and is useful for printing documents that you will later discard. Using this function, the documents are printed at a lower resolution, which uses less ink. You can use high resolution when you need to print final version documents. Printing your text in black and white instead of color will help to keep the costs down. Choose a printer that can allow you to use gray scale printing where you only use the cartridge for the black ink. Do not use the color ink cartridge to create black ink as this leads to fast depletion of the color ink cartridges. When printing documents to use for reference, you do not need to print colorful images or graphics. Unless you require quality work for a presentation, the text is all you need for communication. One of the best habits to ensure good ink usage is by keeping the printer heads in good condition. The printer nozzles use spraying to get the ink onto the printing paper. With constant use, the nozzles can become clogged due to build-up of dried ink. If some colors do not appear on the printing, the cartridge may be clogged. Cleaning the nozzle heads as often as possible depending on your usage, will allow the ink to flow from the cartridge more freely. In most cases, there is still ink left in the cartridge when the printer warning light comes on. The continuing printing even after the printer light appears until you use up all the ink. Inspect the cartridge and if there is any link left, make sure you use it all before changing the cartridge. 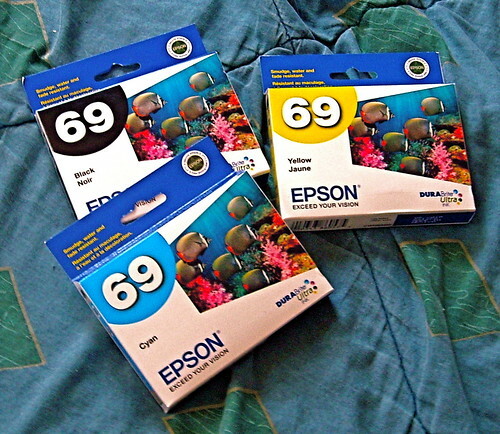 Shake the cartridge to keep the ink fluid and break up clogs and you can get many extra pages of print. You should, however, be careful not to use the printer when the cartridge is completely empty. When printing documents from the Web, make sure that you choose printer-friendly pages. Printing pages as they appear on a website can be a waste of ink. The websites usually have images or graphics and even text that are not necessary for your use. The web pages also tend to be long as they contain more information than you require. Printer-friendly options will allow you to get the document you need without the extra details. Regular printing will help to prolong the life of the ink cartridges. If you do not use the printer often, make a point of printing at least two pages every week to keep the printer active. 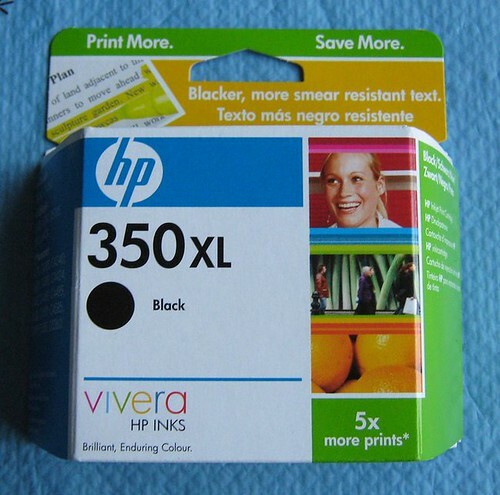 Use both the color and black and white cartridges to make sure that the ink does not dry out. The way you use your printer will determine how long your ink lasts. Instead of simply switching off or unplugging the printer after use, let it power down and shut itself off. Make sure that the print heads are in the correct position when the printer is turned off. Author Bio: Aaron Wilson, an IT professional. He writes posts that reflect his knowledge and opinion about the best HP Inkjet cartridges and toner cartridges. His day job is at LoveToner.com, an online cartridge store.